Q 1 — Why do I need to cancel sessions I don’t need, I’ve paid for them why should someone else have them? Why should I be charged if I don’t cancel —isn’t this just a way to make more money out of parents? A 1 — We are a not-for-profit club which is why our charges are lower than 80% of the provision in Sheffield. They are the lowest in our area. 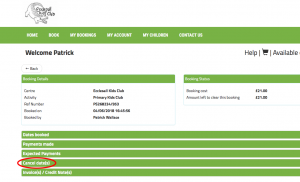 To keep our prices low we need to maximise the places we have (with the staff ratios we are required to have) and we want to enable as many parents to book the places they need when they need them. Carrying extra spare places that may not be filled will cost all parents in higher session charges. In line with our policy, we will be starting to introduce a £15 charge when children do not attend and the session isn’t cancelled, as our benchmarking with other clubs (who have all already done this for many years) has shown that small charges do not work. We need to know who is coming to the Club to ensure that we know who is missing: if you don’t cancel, we spend valuable time trying to trace your child, and if we can’t establish a child’s whereabouts we are duty-bound to inform the Police. Attempting to trace children whose session should have been cancelled diverts staff time away from a child who could really be missing and from other children in the club. For Magic Booking to work optimally, parents need to cancel on-line the sessions that they no longer need, so that sessions can be made available for others to book. We have already introduced credits for cancelled sessions with 30 days’ notice. If we can improve cancellation rates we will consider reducing the notice period down from 30 days, which will benefit everyone. Q 2 — So how do I cancel my sessions? Log onto your Magic Booking account and click into My Bookings on the top bar; this will open up a list of all the bookings you’ve made. Click into the relevant booking that will have the session you want to cancel (click just by the long P reference number). 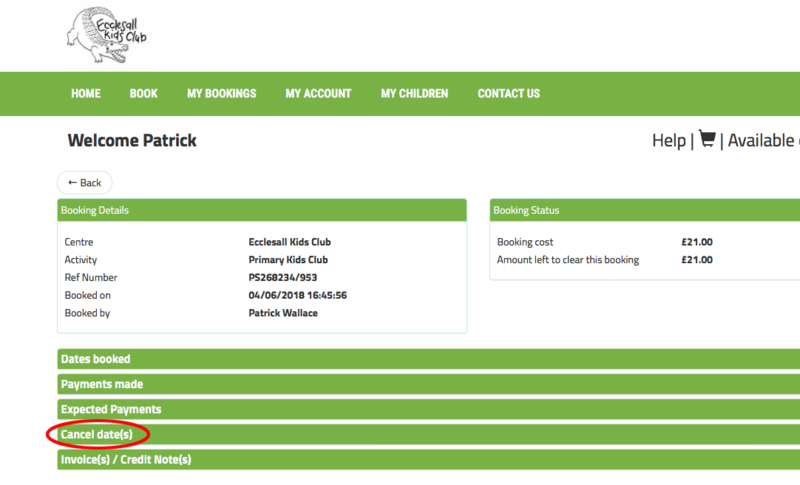 At the bottom of the page you will see some green bars; click on the cancel text on the green bar. You’ll see a list of all your sessions. Carefully tick the box at the side of the sessions next to the childs name you want to cancel —if they go over a page there is a next button so you can tick all relevant boxes. When you have finished ticking all boxes you wish, click the ‘select’ at the bottom right hand corner of the screen. Please do not press the red button at the top that says ‘cancel all sessions’! If you do you will proceed to the ‘confirm all cancellations’ box and if you then click ‘confirm’ by mistake all the sessions within that booking will be cancelled. Please only ever use the red button if you know you want to cancel everything in that booking. A new screen will appear with a cancellation box in it, this will show all the sessions you have ticked to cancel. Only press confirm if you are sure you wish to cancel all the sessions shown in the box, if you change your mind or see an error you can click your back button or close the browser. Unless you confirm the cancellation it will not happen. Once you have confirmed the cancellation the sessions cannot be reinstated and they are immediately available for other parents to book. The system will apply a credit for any cancelled sessions you have already paid for that are outside 30 calendar days notice. (Magic booking works 24/7 so all days are working days). Any cancellations within 30 calendar days are not credited, in line with our booking policy; this period may be reduced over time if more people cancel. You will receive a system generated email to tell you what you have cancelled and any credits will show on your account. The system also tells you at the point of cancelling if you will not be credited for those sessions. 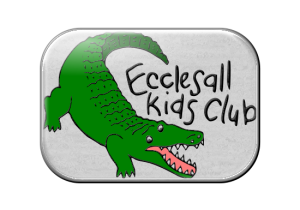 Due to staff being rostered during their own holiday time to operate holiday clubs, we are not able to offer credits or refunds for holiday club cancellations as we have contracted the members of staff to come in based on the number of bookings and we will need to pay them regardless of the number of cancellations. We still ask that you cancel your place so that we know whether to expect your child if we are going on a trip or we need to by resources/special dietary snacks etc.